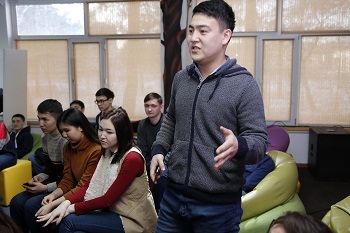 Students and graduates of S.Toraighyrov Pavlodar State University met with Alexander Shutov, an alumnus of the Faculty of Metallurgy, Mechanical Engineering and Transport in 2012. Today he is a master at the hot work area at Aksu Ferroalloy Plant. The meeting was opened by a comprehensive tour of the university, during which the guest was able to assess many changes in the life of the university and share his memories of the studentship. “For any technologist, education is the foundation - the foundation on which he or she relies in the future work. The role of the university in my work is very important, it is key. 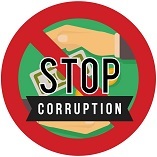 It is very difficult to achieve any success without education”, A. Shutov said. 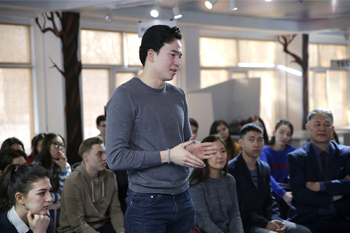 In an open dialogue with future metallurgists, Alexander elaborated on the advantages and features of working at a large enterprise, noting that the main task today is to teach young people about the fact graduates do not know about, to motivate young people to go into production. 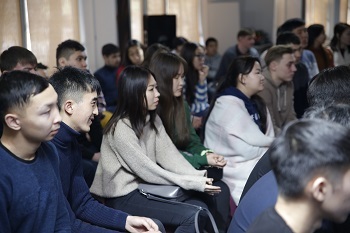 The students asked their questions about wages, social support for young professionals, labor protection at work, harmful conditions and mandatory medical examinations. 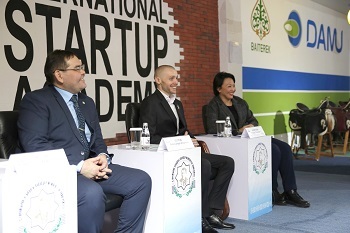 In addition, A. Shutov shared his impressions about the participation in the opening ceremony of the year of youth in Kazakhstan, where he took on the role of a speaker in front of the Head of State.